It's important to study the masters, you can get so much inspiration! Flemish masters used an elaborately complex set of layers and underpainting to create their masterpieces using oil paints. What I really like about it is that it creates a soft warm underlying glow that as barely perceptible, so I set out to try to use some of that underpainting technique using colored pencils and watercolor markers. It's only one tiny aspect of the Flemish work, but I really like how it helped make these two pictures a bit vintage, a bit antiqued, and yet super vibrant. I did not record these two studies as I was in a place that did not permit recording, but I did take photographs, so I'll be posting a short “Case Study” ebook on how this technique was developed. 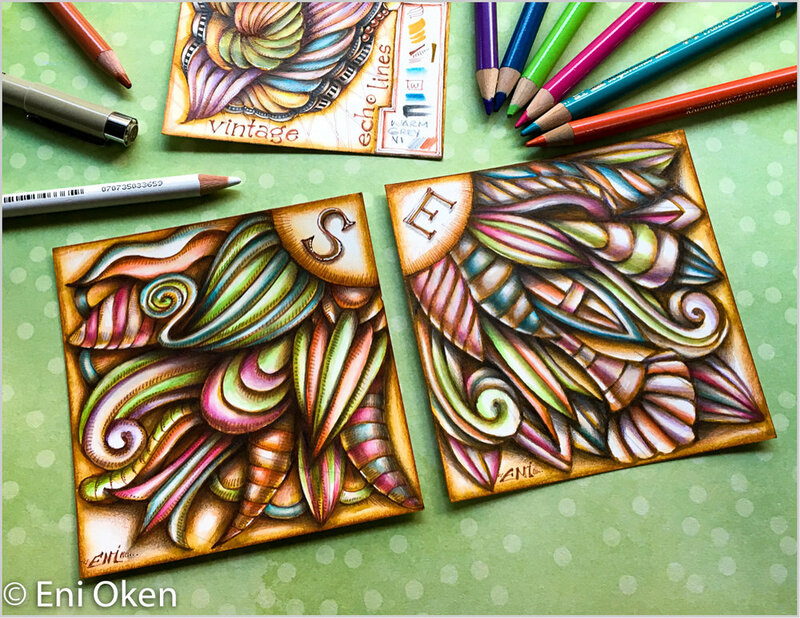 Learn how I extracted century-old Flemish wisdom to create luminous coloring using watercolor markers and colored pencils.